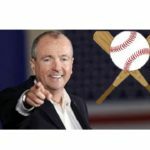 While communities threatened by the planned Meadowlands fracked gas power plant are organizing to stop it, New Jersey Governor Phil Murphy is dodging the issue by claiming that his administration’s job is “calling balls and strikes.” This baseball analogy obscures the fact that the Governor has the power to change the rules of the game to protect our air, water and climate. He is simply choosing not to. When Governor Murphy hides behind the claim that he is merely an umpire, what he is suggesting is that the Department of Environmental Protection (DEP) and other agencies will issue an impartial, accurate analysis based on well-established rules. The problem is that the Murphy administration is still relying on Christie-era rules, which give the governor a convenient excuse for avoiding a principled decision. There is no doubt that this proposed power plant would be a massive new source of climate destroying greenhouse gas emissions. 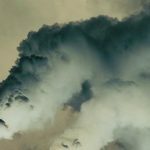 It would emit 3.5 million tons of carbon dioxide annually for the next 30 to 40 years, an increase of almost 20% over the 18.6 million tons currently emitted from power plants in the state. And would create new local sources of air pollution for communities already burden with air quality problems. Governor Murphy has committed himself to bold action to curtail climate change, including a transition to 100% clean energy. If Murphy means what he says, the plant has to be stopped. That is why his umpiring excuse is so deceptive. Since the relevant decision-making process is still operating under Governor Christie’s rules, Murphy’s DEP is not allowed to take greenhouse gas emissions into account in their permitting decisions. So even though this new facility would be a mega-polluter, the DEP would not be able to deny its air quality permit. Governor Murphy, of course, does not have to play by the Christie rules, which were crafted with the interests of fossil fuel corporations in mind. Murphy is not an umpire; he is more like a baseball commissioner with the power to reverse the damage done by “Commissioner” Christie. Murphy has the authority to direct the DEP to regulate and reduce dangerous climate pollution like C02 and methane, but has simply decided not do so yet. The same is true for other forms of air pollution. While the federal EPA has set standards for specific air pollutants including ground level ozone, the DEP allows applicants to purchase ozone ‘credits,’ thus allowing unlimited volumes of this devastating pollution to harm the lungs of state residents. Bergen and Hudson counties already receive an ‘F’ grade from the American Lung Association for their ozone levels. Allowing the Meadowlands power plant to purchase pollution credits would make this problem worse. Again, Governor Murphy can’t hide behind the need to follow the rules of the game as crafted by Chris Christie. If he wants to live up to his own environmental rhetoric, he needs to actually change the rules. 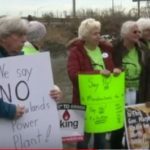 Governor Murphy has also complained that making decisions about polluting fossil fuel projects like the Meadowlands plant are difficult because the state does not yet have a new ‘energy master plan.’ This is yet again one more dodge; a political leader cannot announce plans to reduce greenhouse gases while giving a green light to a power plant that would dramatically increase those emissions. One does not need a ‘master plan’ to comprehend that level of hypocrisy. 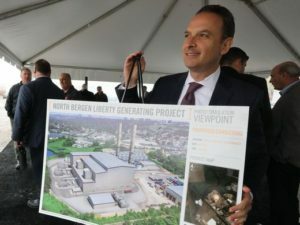 Right now, the North Bergen Meadowlands power plant is opposed by leaders like State Senator Loretta Weinberg and the 37 mayors of Bergen County municipalities who have voiced their opposition by either passing resolutions and/or supporting measures of opposition. On the other side are Mayor Nick Sacco of North Bergen, former Assemblywoman Joan Quigley of Jersey City, County Executive Tom DeGise and Hudson County construction unions. 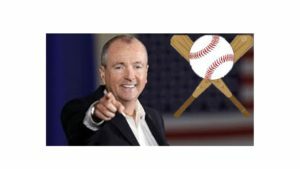 Governor Murphy can’t hide behind his phony home plate analogy. We don’t need an umpire or a referee– we need the governor to be a leader, to write the rules needed to implement his stated policies and protect our health, environment and climate across the state.